Les Talens Lyriques performed Mozart’s azione sacra (literally ‘sacred action’) Betulia Liberata [K.118/74c] under the direction of Christophe Rousset in Salzburg’s Mozartwoche 2019. The concert took place in Salzburg’s Haus für Mozart on Sunday 27th January 2019, exactly 263 years after Mozart's birthday on the 27th January 1756. La Betulia Liberata is based on the biblical character of Judith, with libretto by Pietro Metastasio, and was composed in 1771 when Mozart was just fifteen years old. The concert, recorded for a radio broadcast, featured stunning performances from each of the singers (listed above), the Salzburger Bachchor (chorus master Alois Glaßner) rendered excellent choruses, and the complex recitatives were expertly handled by the virtuoso continuo team of Christophe Rousset (directing from the harpsichord), Stéphane Fuget (harpsichord and organ) and Emmanuel Jacques (violoncello). The large audience, spread over all three tiers of the hall, applauded enthusiastically and with additional vigour after several solo arias. I played first trumpet and Will Russell played second trumpet in the section. There were four horn players (Bart Cypers, Cédric Müller, Mark de Merlier and Nina Daigremont) and the first aria of the piece - D’ogni colpa la colpa maggiore (sung by Ozia) - featured two high horn parts, played with impressive control by Bart Cypers and Cédric Müller. The trumpet participation in the project began on on Thursday 24th January 2019. We took the Eurostar from London to Paris and arrived in plenty of time before our first rehearsal with Les Talens Lyriques at 15:30. We rehearsed in the school chapel of the Collège-Lycée Jacques-Decour on Avenue Trudaine - at the foot of Montmartre. We finished our first rehearsal in record time as the director began with the Overtura and then immediately moved on to our only other entry, Act 1-14, Aria (Achior): Terribile d’aspetto. Will and I had finished rehearsing for the day and we had Paris at our fingertips. We’ve seen many of Paris’ most famous areas and attractions on previous trips so we had a quick search online to see what else we could explore. We planned to visit a cemetery but it closed for the evening as we passed. We decided instead to visit a nearby music shop - Arpèges on Rue Lamarck - which is well-known for stocking sheet music. Will bought himself a copy of Dauverné’s 1857 Methodé pour la trompette. We enjoyed a walk around the back of Montmartre, an affluent area of Paris I had never visited before. We arrived at Colline d’Asie and ate Vietnamese food in this, our favourite Parisienne restaurant. 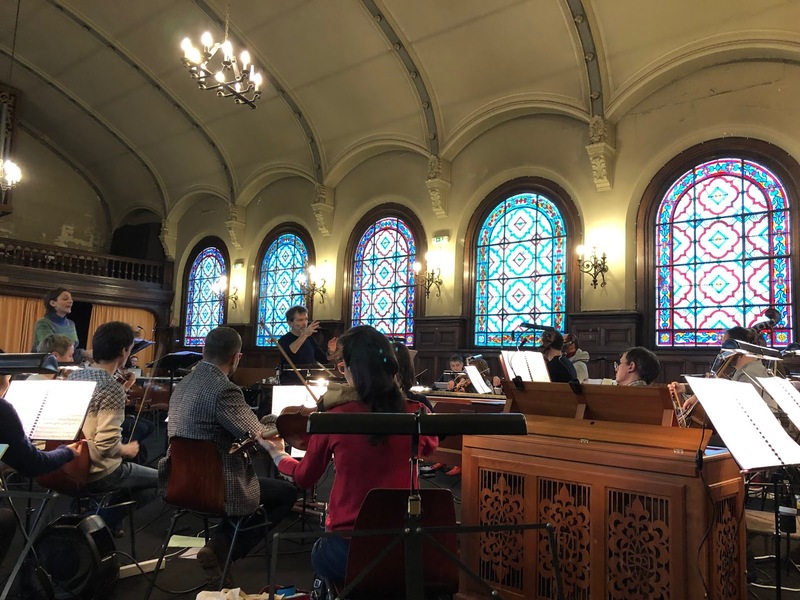 We reminisced about our recent five-week tour of Southeast Asia with the Orchestra of the Age of Enlightenment (which had finished with a concert in Ho Chi Minh City In Vietnam). The food at Colline d’Asie is always excellent. The next day we returned to visit the Montmartre Cemetery in daylight (it had been closed when we passed at 17:30 yesterday). French cemeteries are generally impressive places, family mausoleums and individual graves followed the contour of the land and monuments were aesthetically arranged over several layers in some places. This cemetery contained the graves of some well-known musicians, artists and composers including Edgar Degas, Adolphe Sax, Hector Berlioz, Léo Delibes and Jacques Offenbach. In the afternoon, we returned to rehearse at the school chapel and I enjoyed playing and listening to this impressive music from the fifteen-year-old Wolfgang Amadeus Mozart. This rehearsal was attended by interested students from the school. 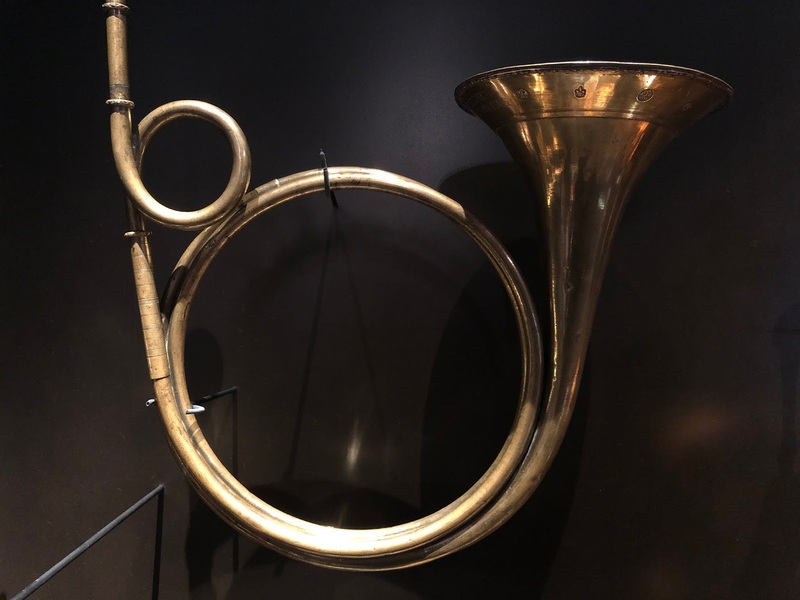 We played natural trumpets (without holes) in D & C at A=430Hz and a few students were interested to find out more and some came over to talk to us after the rehearsal, which was most encouraging. As is very common in Les Talens Lyriques, they had commissioned a new edition from the editor Nicolas Sceaux - I always appreciate this attention to detail, and Nicolas’ scores and parts are always very clear and accurate. They had also been annotated in pencil with Les Talens Lyriques’ own performance directions. They are such a well-organised orchestra to work for - thanks to all involved. On Saturday 26th January 2019 we took a flight from Paris Charles de Gaulle to Munich International Airport and continued by coach, passing snow-blanketed terrain, towards Salzburg. Salzburg looked crisp in this light dusting of snow. 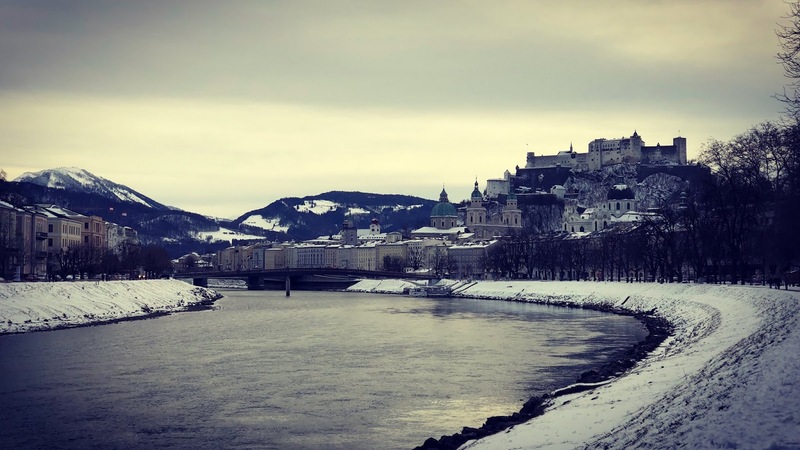 The Salzach river meandered past an unmistakeable skyline of steeples, with the Hohensalzburg Fortress above and stunning views of the surrounding mountains. Waking early on Sunday morning, Will and I walked along the river to the Salzburg Museum on the Mozartplatz. 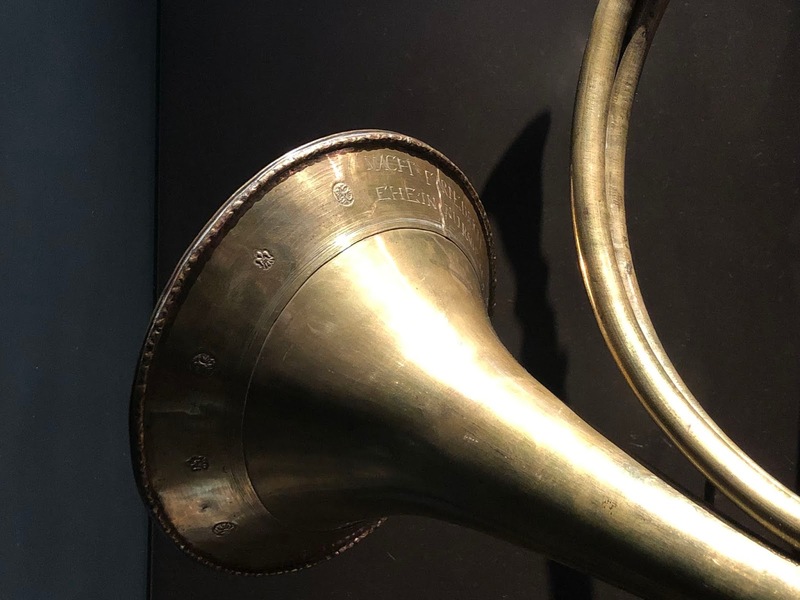 I specifically wanted to see the Johann Wilhelm Haas (1649 - 1723) trumpet from 1700 [MI 1569], the so-called ‘Salzburg mouthpiece’ (an original) and the pair of Friedrich Ehe (1669 - 1743) horns [MI 1533 & MI 1534] which are similar in size and configuration to the Steinmetz horns in Berlin. 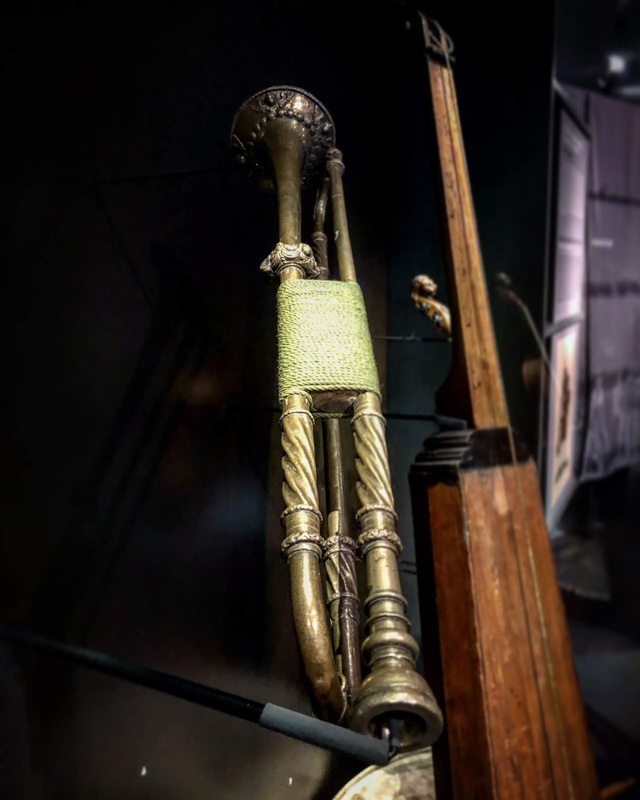 There were 17th-century cornetti [MI 1519 & MI 1520], a bass sackbutt [MI 1533] from Nürnberg by Sebastian Hainlein d. J (1594 - 1651) from 1622; and a horn (one of a pair [MI 1537 & MI 1007] was out on display) from Leipzig by Johann Friedrich Schwabe (1717 - 1782). It was a well curated collection of musical instruments, and I bought a book entitled: The Collection of Musical Instruments in the Salzburg Museum by Barbara Hagen-Walther (N.B only available in German - Die Sammlung der Musikinstrumente im Salzburg Museum). The rest of the Salzburg Museum chronicled the history of the city and it was excellent. It had been quiet when we first arrived at the museum at about 9:15am and we had the musical instrument exhibition to ourselves. Salzburg is an impressive place. The people were warm and friendly, the food and hospitality were excellent, and January was a great time to visit: with more snow and fewer tourists around in the city. The buildings in Salzburg’s historic centre are pristinely kept, with many remarkably preserved old buildings. The renowned fountains and statues are shrouded with custom made, protective glass structures (resembling the glass pyramid of the Louvre in Paris) to protect them from frost and snow in the winter. We had a great time in Salzburg, as well as in Paris. I look forward to future projects with Les Talens Lyriques; there are several planned for later in 2019.